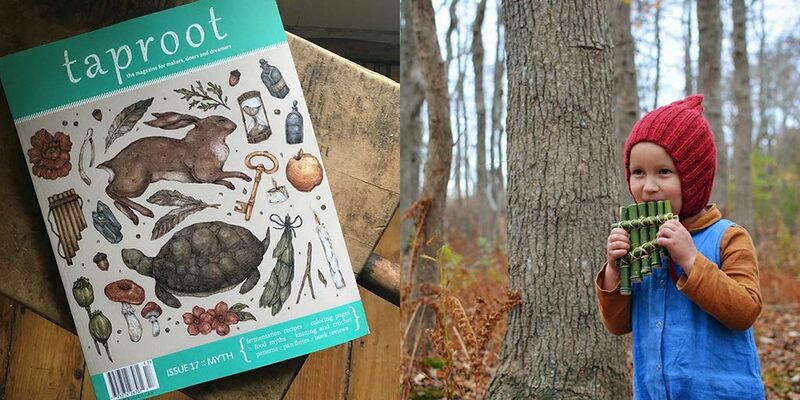 Sponsor: Taproot Magazine, is a quarterly print magazine full of delightful stories and photos written by and for people living fuller and digging deeper. Each issue is created around a subtle theme, featuring amazing recipes, crafts, and tales, all with the intention of inspiring people who are interested in deepening their connections to their families, communities, and themselves as they strive to live locally and closer to the ground. The content in each issue consistently blows me away. It is fulfilling and inspiring. The most recent issue MYTH features a collection of wonderful finds as we step in Spring. 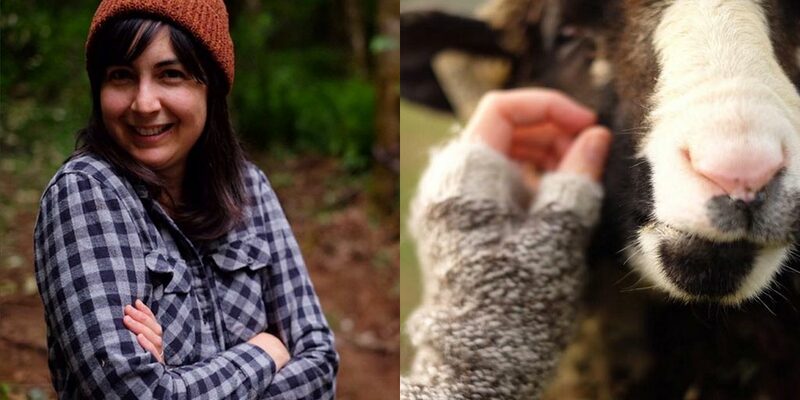 With fermentation and jam recipes, stories, food myths, how to make a pan flute and Bristol Ivy’s latest pattern the “Selkie Hat & Mitts”. There is so much goodness in each issue. You can visit Taproot Magazine online at taprootmag.com and on Instagram @taprootmag. 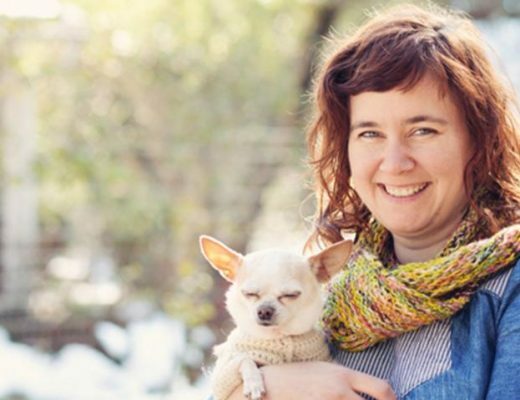 Fiber folk: I’ve met very few people in life that match the passion, enthusiasm and joy of Anna Dianich and her infectious energy emanates from everything that surrounds her, including her shop, Tolt Yarn and Wool. 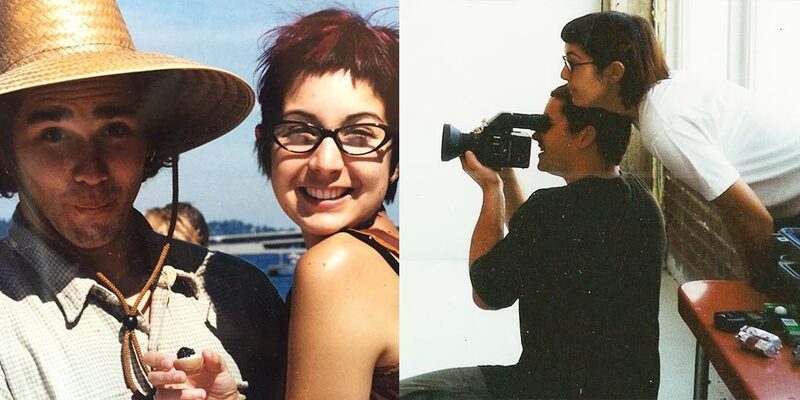 It’s easy to forget though, that amazing women like Anna, have someone equally amazing beside them, cheering them on and supporting them through their endless ideas and gumption. Anna’s someone is her lovable and encouraging husband Greg. Together they’ve built a community, centered around this charming little yarn shop in the Pacific Northwest town of Carnation, Washington. 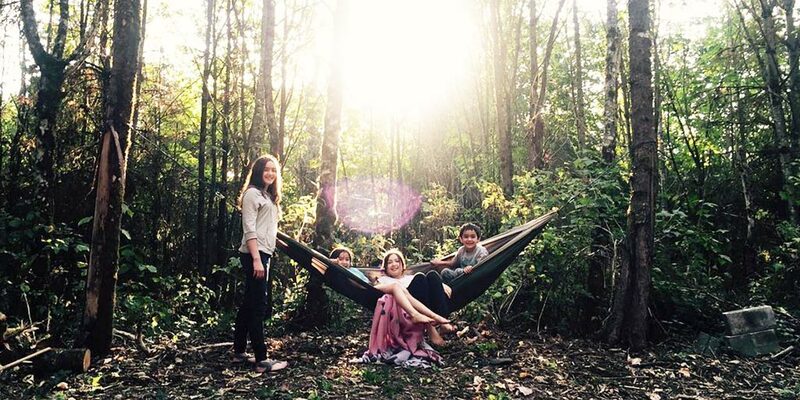 You can find Anna and Greg and their super crew at toltyarnandwool.com and on Instagram @toltyarnandwool. Sponsor: I want to thank Taproot Magazine again for sponsoring this week’s episode. With the natural, easygoing and heartfelt focus of each issue, I find myself continuing to go back to it throughout the quarter, gaining a little something each time and looking forward to the upcoming issue. 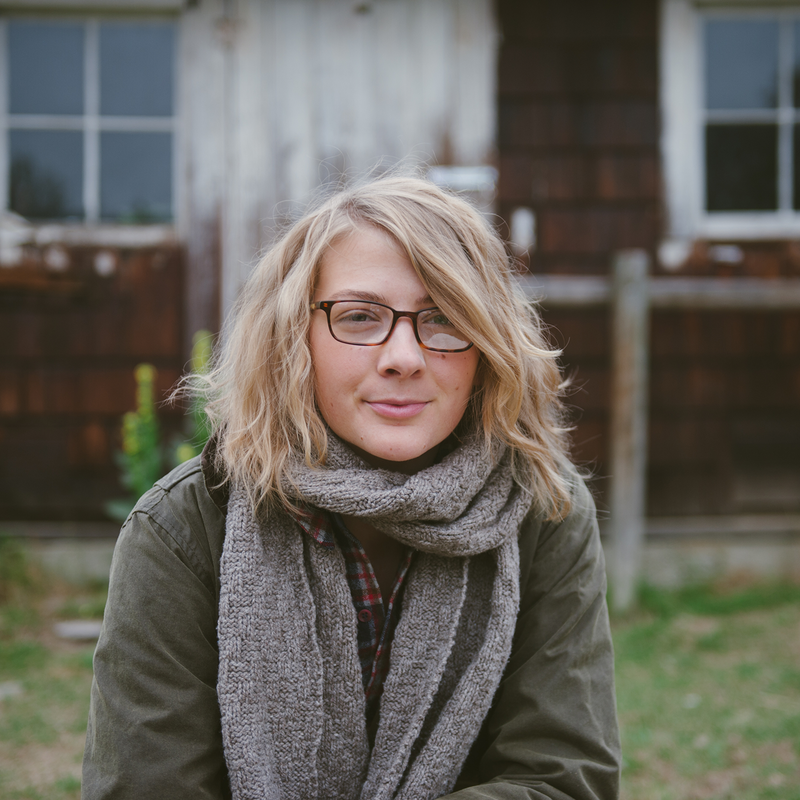 I highly recommend you visit taprootmag.com and subscribe. 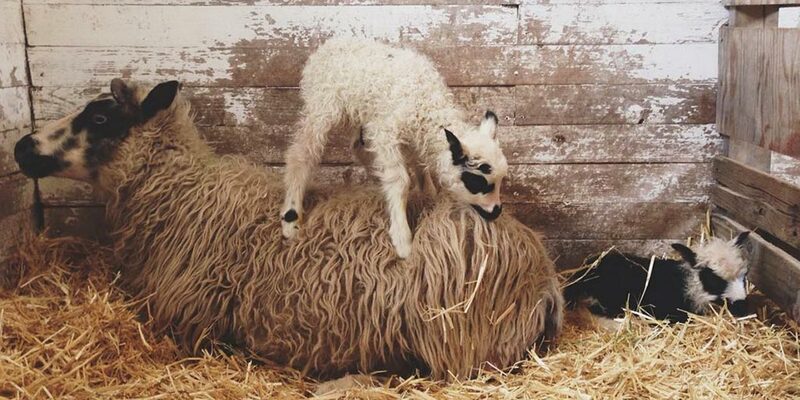 Update: It’s been a very exciting week on our farm, with the arrival of our first lambs! Our ewes Lucy and Alice both gave birth to twins last week when I was in San Francisco for work, and while I was so bummed to have missed their births, I’m looking forward to our other ewes Ethel and Louise who should be lambing any day now. There’s speculation that Louise may even throw triplets…so exciting. I’ve been posting videos and photos over on Instagram, so follow me there to keep up with the going ons. Giveaway: The winner of last weeks giveaway is Cathy B. You’ve won a copy of Helga Isager’s book Room 606 and yarn for the Ghita Cowl pattern. Congratulations! 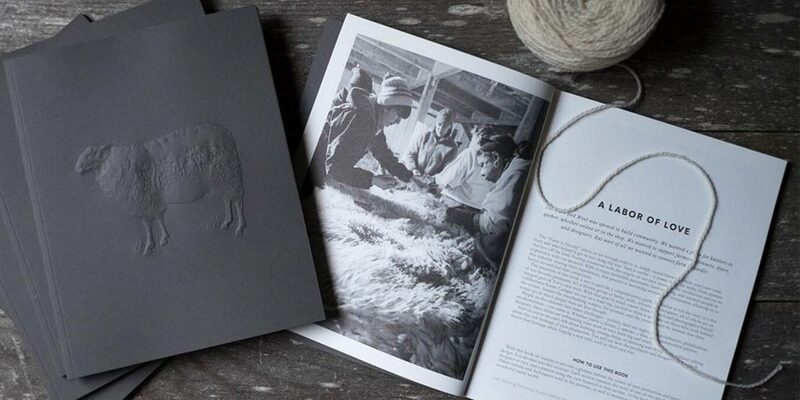 The giveaway this week is sponsored by Tolt Yarn and Wool and we’re giving away a copy of Tolt’s book Farm to Needle. To enter, leave a comment on this blog post. So excited to hear Anna’s story during tomorrow’s commute! I found Tolt’s Instagram through Woolful, and am constantly inspired by it. Hope to read this book! Hi Ashley! I was the lucky winner of your previous giveaway, but I don’t really know what to do to retrieve the special gift. Did you get my email? im excited that I am about to go listen to my first of your podcasts… I think it will quickly become part of my evening routine until I am caught up! What a great team Anna & Greg make. Another fantastic episode! I just went to Tolt Yarn & Wool for the first time a couple of weeks ago and believe it is, hands down, the most wonderful yarn shop I’ve ever seen. And I’ve seen a lot! I’m obsessed with Snoqualmie Valley yarn! I have just found your site. What beautiful images. Wish I could be there. I love love LOVED this episode! Anna and Greg were such a joy to listen too – so gorgeous! THAT is the kind of relationship that dreams are built on! Couldn’t stop smiling! I love Tolt, can’t wait to listen to the interview! I have not gotten a chance to listen to the podcast yet but the book looks amazing, love the cover. The book looks absolutely beautiful. Really looking forward to listening to the episode! Tolt sounds like a wonderful yarn shop, wish it was on my continent! I loved listening to this weeks episode and wish that I could visit Tolt in person! 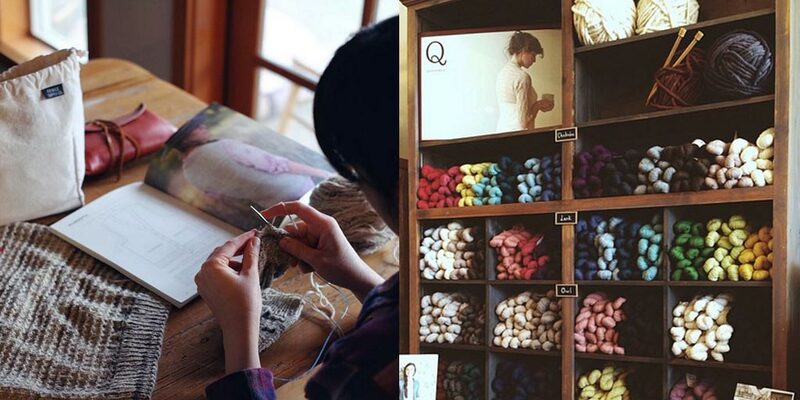 It is so nice to hear how people make their dreams, like opening a yarn shop, come true! I loved hearing their story. I would love to visit their shop if I am ever out that way. Very inspiring episode! I would LOVE to win a copy of this book! Can’t wait to listen to yet another podcast on my commute. I look forward to them all week every week! What a great podcast! I’ve been a fan of Anna Dianich since I first discovered her and Tolt on instagram. It was so inspiring to hear her story (and Greg’s!) and to hear how Tolt came to be. Thanks for doing this interview. I already have the book and it’s wonderful! It troubles me to no end that I live nowhere near Tolt. Booooooo! I loved this episode! 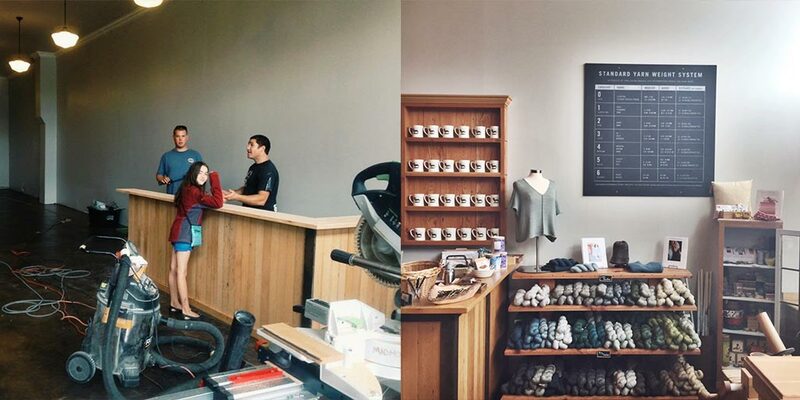 Wish I lived closer to Tolt – it seems like such an inspiring shop! This podcast is a blessing. Thank you. 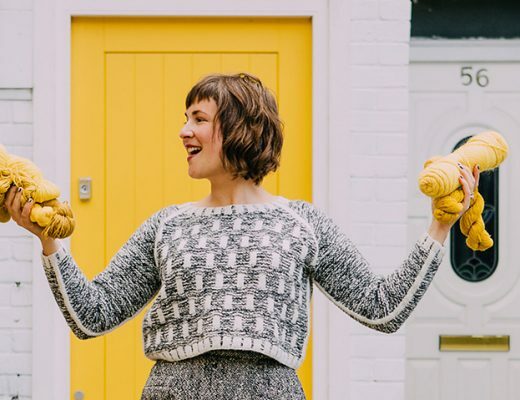 I just started downloading knitting podcasts last week, why it took me so long I don’t know. But, what a week of coincidences. My brother-in-law recently moved to Seattle and I’ve been running into a lot of yarn shops on my IG feed and they’re all in the Washington or BC area!! 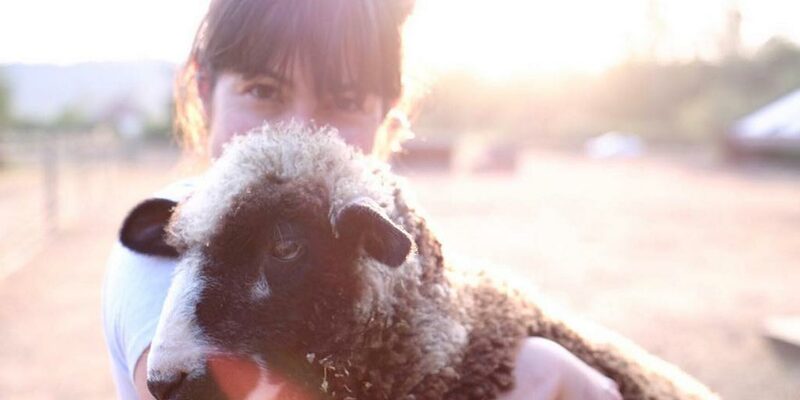 It’s definitely been a “ground hog” week for me as when I started the Woolful podcast it featured Tolt Yarn and Wool, a recent IG find, and then I receive a random email with a link-up to Tolt Yarn and Wool’s website. All signs point to Washington lol. I listened to this wonderful podcast while sewing. I am a quilter. Would love to win this book for my sister Debra who loves to knit and may teach me someday! Thank you and Happy Spring! Love listening to the Woolful podcast with lots of interesting people. My daughter is doing a lot of workshops at the library these school holidays. I find myself a comfortable chair with my knitting and enjoy an episode or two of Woolful. Thanks Ashley for another perfect podcast! Loved hearing about Anna and Gregs journey, truly lovely people. I hope Anna never stops dreaming up new and glorious ideas! 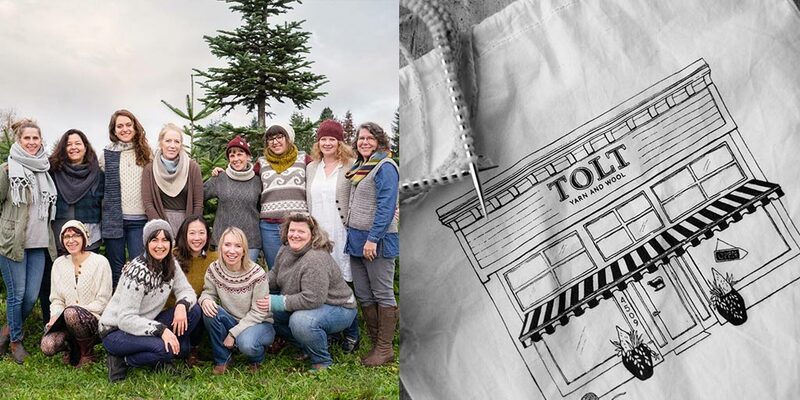 Tolt yarn and wool is my community and my happy place! What a great episode. It was lovely to hear Anna and Greg talk about their own journey from urban photographers, to country dwelling fibre folks. They sound like such truly lovely people. Thank you for bringing us their story. Great episode! Tolt is on my ‘must visit’ list and I love updates on farm life! I would adore a chance at having this book in my hands. As always, a lovely podcast. What an inspiring story showing what dedication and teamwork can do! Thanks for this podcast! I just found your podcast and listened to the latest episode. I look forward to catching up with previous episodes. I would love to win the book. Enjoyed the podcast, love to hear how people start and grow their businesses. 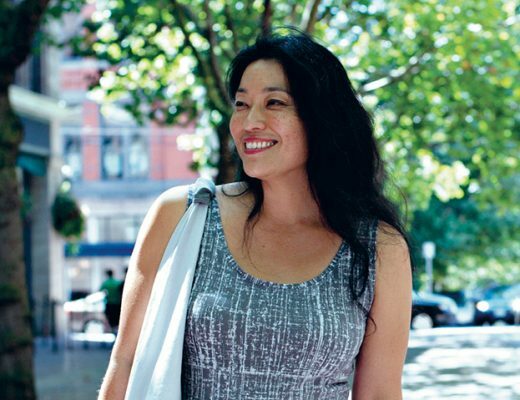 Love hearing the back-story….wonderful podcast!!! How fast can I get myself to the PNW???! and Ashley for your weekly inspiration! I already got the book, so this is not an entry to win it, but… I just want to give a shout out to Anna, Greg and all the people who help make Tolt what it is. I have only been able to visit Tolt in person once so far, as I live a fair distance away, and I went with a non-knitter so I couldn’t stay as long as I wanted. There are many yarn shops with many different vibes, some where you feel welcome and some where you don’t, some with stock you are interested in and some not. Walking into Tolt was like coming home. It immediately felt like I had found my community and I wanted to stay all day checking out every single thing. The people that helped me find what I needed seemed engaged in our conversation and even other customers sitting there knitting joined in with their suggestions. I only could stay that time for about an hour, but I can’t wait to visit again. I think Tolt now carries about every yarn brand I already love or that I have ever wanted to try.! It’s a jewel for the PNW and I only wish they were closer so I could join that community more often. Thank you, Ashley, for the podcast telling their story. Anna and Greg were charming and I loved their honesty. Also, they both have great laughs. I feel so lucky to live just a few hours away from Tolt. It is too far to truly be my local yarn shop, but I can still go a couple of times a year! Ah, another wonderful podcast. And TOLT. They are great! Anna is such an inspiration! I hope I win the book! We don’t have Taproot magazine here in Oz. The samples shown in the photos make my fingers itch to get started on something! Well done, as usual. So interesting to hear Anna’s story. Hope to visit the shop one day-when I am not on the other side of the Atlantic! Love your podcast. Was just in Tacoma to visit daughter. Have already told her Tolt must be a stop on my next visit and I am sure she will make it there soon. Thank you! One day I will fly over and visit Tolt ! Thanks for the great story ! I usually listen before commenting, but I am pretty excited about this giveaway. I hope to have this book someday. I am too wishing to experience this journey, maybe next year. I was just in Moab UT and brought home some yarn and roving from a farm just down the road from the wonderful little yarn shop Desert Thread. I can’t wait to get my hands on it. Oh I loved this episode and all the laughs! Thank you so much! And the book? To live for! Would love a copy of the book, as I’ve had my eye on it for awhile. Enjoyed listening to this one while on a work trip to the west coast (British Columbia). Thank you for the time and effort to compile these stories. Thank you once more for a truly inspiring story. Time just flies when I’m listening to Woolful! What a wonderful interview this week! 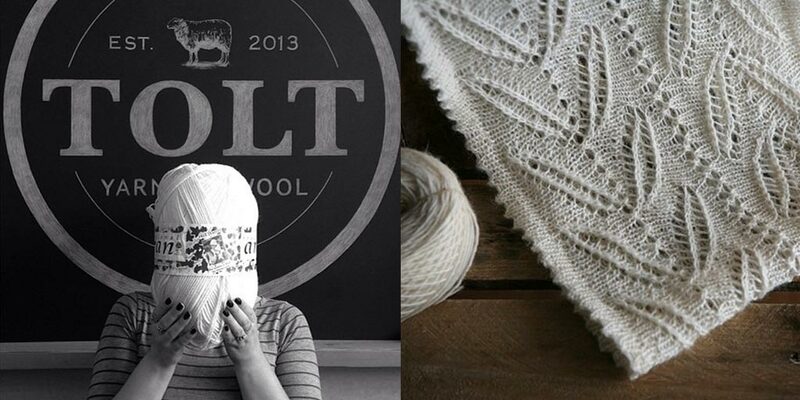 I’m inspired to finally visit Tolt Yarn and maybe I’ll get to take one of their wonderful classes. I look forward to your next podcast. Loved the podcast! Thank you. I love the pictures with this post! Fingers crossed for your lambs! Trank you for yet another inspiring podcast! It is so very encouraging to listen to stories of people who have fulfilled their dreams and ideas and still are so warm and happy together! Thank you again for all your efforts in getting this out to us to enjoy! I could have listened to Anna and Greg all day! 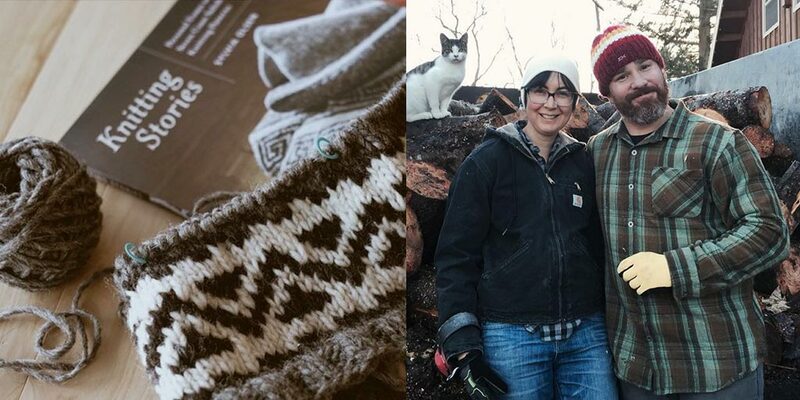 Their story is so inspiring and I can’t wait to knit from the book. New to this podcast and am truly enjoying it. Have so enjoyed ypur last two podcasts and the wonderful reading adventures your links open up! The book sounds wonderful. Loved this interview! I was lucky enough to visit Tolt all the way from Durango, Colorado, last September! Lovely place! 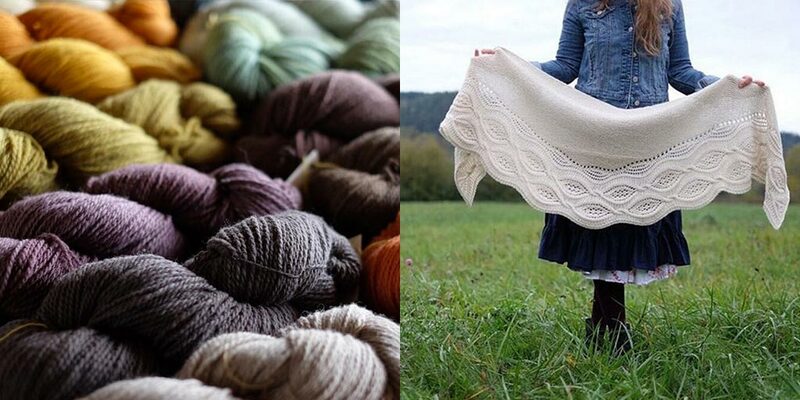 I love following Tolt on Instagram, so much northwest woolly inspiration. And the podcast was wonderful as always. I’m really hoping I’ll get a chance to visit the shop sometime! This makes me want to pick up some supplies and start knitting after work! Literally listen to your podcast everyday. I am a beginner knitter and truly admire textiles. I am fortunate to be surrounded by beautiful textiles at my archival job… but listening to the folks who make the work is amazing. I still work for a small business that manufactures soap and bath products. We’re a tight knit (haha oh the puns) team as well. Love to hear about other small business across the country with a passion for their work. I admire what they’re doing and wish them well. Lovely episode! I enjoyed Anna and Greg’s story so much. Their relationship is so inspiring. Another great podcast! It was inspiring to hear Tolt’s story, definitely hope to visit it in person next time I visit the States, and obviously I’ve been drooling on my screen when looking at the book , so I’d be delighted to own it!! Ordered from Tolt last year, and they sent along what I called “yarn crack,” a little sample of another yarn I might like. I like a good enabler. Really enjoyed learning more about Anna and Greg; Tolt is on my list of shops to visit. Tolt is definitely on my bucket list. I keep telling people about it whenever I hear they are headed that way. I’m definitely planning a trip to the PNW at some point and I’m going to make sure I visit. Hello, greetings from Australia. Just listened to the Tif Fussell podcast and now downloading more – great listening. Thank you. 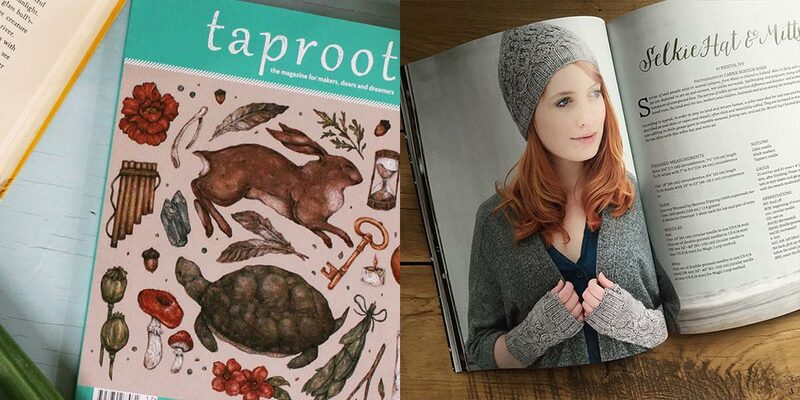 Taproot is a wonderful magazine – we can purchase it here in the land of down under. Will also check out the Tolt website and have a look at the new book. I recently had the chance to experience Tolt yarn and wool in real life!! I visited my sister in WA and we packed up her babies and headed to the shop, 45 minutes away, it was a highlight of my trip and I can’t wait to visit again! I hope someday to visit Tolt! What an inspirational story!! I really enjoy listening to your podcasts on my evening walks. Thanks so much for sharing all the fibre stories. I look forward to the day I get my hands on the Tolt book and visit the store! I loved hearing Greg and Annie’s story! Annie, you found the perfect guy to support and help all your wonderful ideas come to life. I hope to visit the store in person some day. What a sweet couple! I loved listening to this episode. Thank you. loved hearing the story behind such and I spring story and couple. Keep up the great work! Loved this episode! What a wonderful couple and team. Hearing their story gave me the courage to move forward and take a risk in something I’ve been thinking about doing for a while in my own business. Thank you! How inspiring it is to listen to your podcast. It is my treat in a busy schedule. I take the dog for a walk in the woods and just shut off from the world while enjoying the scenery and all the stories. It’s not too long since I’ve joined the fiber folk community and it amazes me how much it evens me out. It’s a pity I’ve got so many yarn, stories and inspiration to catch up to but this book would be so much treasured!! Thanks for all..
What a delightful episode! Really enjoyed listening to their story and how they work together as a team. Also appreciated the transparency in their story… the ups and downs, the stress, the doubts…real life stuff. Thanks for another wonderful podcast episode. After finding you on Instagram, I have really come to love listening to your podcast while spinning or knitting. Thank you for all your hard work in providing it to us! I’ve been away so have had a lovely backlog of podcasts – really enjoyed catching up & listening to this episode. I was so excited to listen to this interview after just having visited Tolt during Easter weekend trip north! What an incredible place , it was everything I imagined, and then even more! I only had some stolen time away from awaiting sisters to run in, but I had my list, and this store is so well organized! and the women working there! So ready to help, and knowledgeable, I was able to do a fairly thorough look at everything, but sadly forgot about the book! I did purchase 4 amazing skeins from new to me producers that I look forward to working with! Thank you for the interesting interview, enjoyed it very much! This makes me want to move & get a job at Tolt! I’ve admired tolt for so long it borders on obsession. Eeee! I’ve had my eye on this book and would LOVE a copy!! Really enjoyed this week’s episode. Ashley, thank you for continuing to enrich my fiber world. As was so evident in this episode, the fiber world is so much more than just about yarn and knitting. Thank you for all that you do. Love Tolt! Every week is a wonderful treat! Loved this weeks Podcast! It was so good to hear Anna’s voice too. I’m also super happy I got to visit Tolt a few times while I lived there, but it was as we were prepping airstream traveling and I didn’t know how to knit then. Oh how I would go a yarn shopping of I had a chance! I’m really enjoying this podcast! What a delightful and inspiring episode! I adore this podcast, thank you so much! Another great episode! And oh my, I really want this book!! Such a sweet couple. Enjoyed hearing them tell the story together. Thank you! 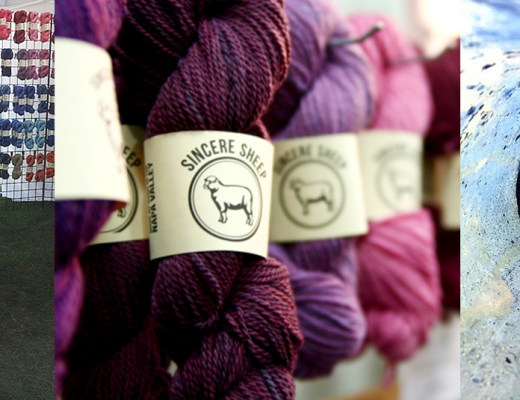 I absolutely loved the honesty and openness about what it was like to open a yarn shop. It was interesting to listen to the process of how it was opened and how each team member made their contribution to making it a better place. I’m in the planning stages of opening a business and this was just the podcast I needed for some encouragement and inspiration! I loved listening to this! Thanks for another great story. 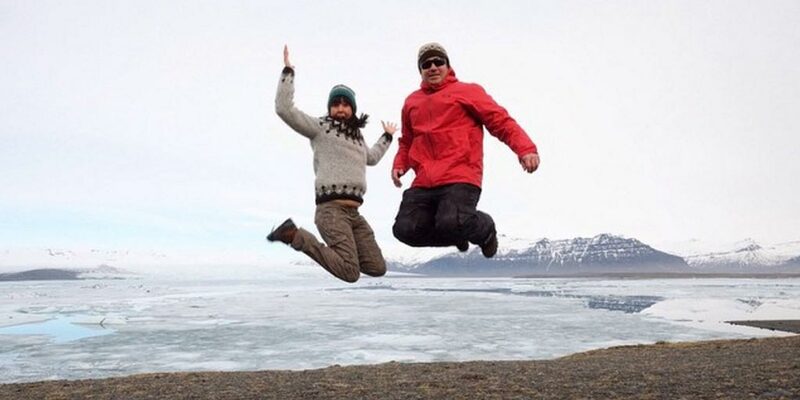 Anna and Greg — what a fun couple! Tolt sounds like a great yarn shop. This book sounds AMAZING! Would love to win!! How wonderful to hear the entire story of how Tolt came to be! Great episode. I’ve visited Tolt twice and loved it so much each time. I am very excited to hear the story of how this shop can to be! One of my very “fav’s”… Loved the energy between these two! What an amazing place and an amazing couple! Can’t wait to listen. I really enjoyed this podcast. I was interested in hearing it as from a mini swap, my swap partner gave me a tape measure from Tolt. This Tolt couple is so cute. They are lovely and what a fascinating journey they’ve had to creating and building Tolt. loved this podcast . . such a beautiful couple. This was an AMAZING podcast! I really need to take a trip across the country to go see TOLT! I loved hearing their funny love filled story. The realistic struggles & how they support each other have created this amazing shop! I love my Farm to Needle bag & the book I purchased online a few months back! I wish I lived closer so TOLT could be my awesome LYS!